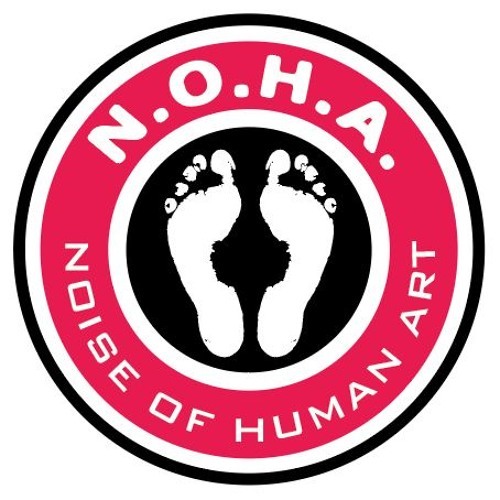 N.O.H.A. is characterized by energy loaded grooves and its open genre mixture of drum&bass and world music in a sound we like to call “Ethno-Bass”. With several studio albums under their belt and years of touring, hits like Balkan Hot Step, Dinero, and Tu Café have brought the band to some of the biggest European festival stages. When on stage, N.O.H.A. stands out as a living, breathing tornado. The band radiates highly infectious positive energy flowing from the stage to the crowd, to which any audience at any number of festivals this year alone can attest. N.O.H.A. released a new music video “ DINERO” for the single from the last album, : http://www.youtube.com/watch?v=wwy1k3HzEkY&sns=fb N.O.H.A. most famous hit: http://www.youtube.com/watch?v=xi20Si3jRIo ( 6 800 000 views) N.O.H.A. s latest video release is a flashback of some of the amazing shows in 2014 http://youtu.be/n1CS3NrtFx8?list=UUU3gtf20qQrOzvP-IYPlsCg -Word campaign NIKE shox music by N.O.H.A. : http://youtu.be/1TxivBXgwmQ - N.O.H.A. are: - MC Chevy (New York, USA), Project’s co-founder; band's “soul”, lyricist, integral part of N.O.H.A. imparting his charisma, voice, living power and energy to the project Kaia Brown ( Washington, D.C., USA ), Singer, writer, traveler; band's “voice”; globetrotter inspired by cultures from all over the world. She’s worked with NY dub legend, Dr Israel, Kush Arora, Dub Gabriel, Chad Jones of Process Rebel, and Heavyweight Dub Champion. Kaia connected immediately with the energy and vitality of N.O.H.A. and looks forward to bringing her dynamic, sultry, rock-infused soul style into the Noise Of Human Art mix. - Philip Noha (Prague, CZ), founder of the project, band´s “head”; composer, producer and saxophone player setting its direction throughout the entire existence of N.O.H.A. It was his composition and production of songs like Balkan Hot Step,, Dinero, and Tu Café which moved N.O.H.A. to its current level. - Thom Herian (Prague, CZ), sensational Czech drummer and band's beating “heart”. Only a few drum-kit players in the world play live drum-and-bass like Thom does. His performance is a unique experience not limited only to musical prowess. - Jatrabass (CZ), band’s “liver”, bass guitar and wobble bass. Like its equivalent in the human body, Jatrabass also filters the elements needed for the band’s musical blood and its bloodstream. Precision and excellent coordination with the drum-kit create the band’s extraordinary groove section. - Guido Lahrmann (DE), band´s „ear“,behind the mix desk, creating the best sound with exiting live effects and unique powerful live sound. Speechless Video edit by N.O.H.A. Sierra Digital-Video Edit by N.O.H.A. N.O.H.A. - Ants by N.O.H.A. N.O.H.A. - PARK OF ILLUSION by N.O.H.A. N.O.H.A. - WANNA PLAY by N.O.H.A. N.O.H.A. Di Nero by N.O.H.A. !DelaDap - Crazy swing remixed by Philip Noha by N.O.H.A. Noise of Human Art - Yemanja Radio Edit by N.O.H.A. Noise of Human Art - Yemanja Gato Preto RMX by N.O.H.A.